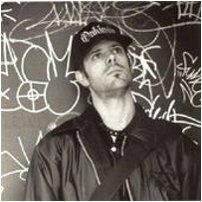 Scott Turner is an ambient, hip hop, industrial, electronic, and drum and bass artist hailing from northern California, but with musical roots that go back much further into the punk scene in Boston. Not Your Average Hippy is Scott's solo ambient music project. Not Your Average Hippy is a deep exploration into ambient music, lush soundscapes, and dark environmental sonic canvas. The purpose of the music is to produce a unique blend of ambient music that creates a mood, be it dark or somber, tense or relaxed. Scott draws from a wide base of life experiences and self made sounds to evoke feelings that he hopes resonate with the listener. The music of Not Your Average Hippy can be found on both Blue Water Records and of course here on Earth Mantra. His music has been aired on all manner of online and FM radio stations, and was even used in an episode of The Sopranos in Season 6. Earth Mantra is proud to have Not Your Average Hippy on its roster of artists and looks forward to much new ambient goodness from this brilliant artist.